The installation is made from organic wool, all hand dyed and hand felted using various felting techniques: wet felting, 3 dimensional, needle felting, Shibori and using shrink differential to create the felt. 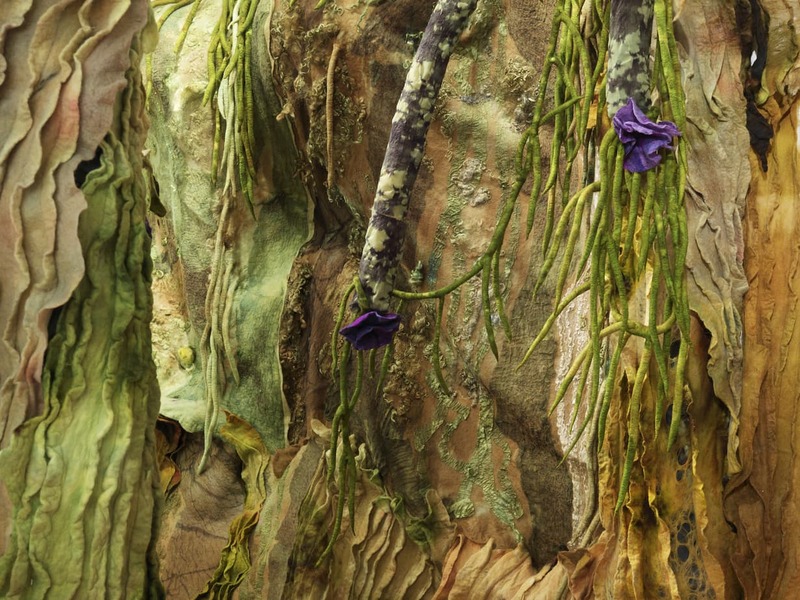 The inspiration for the installation comes from the book “The Botany of Desire”, written by Michael Pollan. Michael describes how despite our attempts to control plants – such as tulips and cannabis – the plants in fact use us to spread their seed, or propagate themselves in other unintended ways. I consider the movement of species from one area to an area in which they are alien, a change of the evolutionary dynamic. As the invasive species affect their environment and the natural species in the area, they cause changes in evolution that we cannot begin to predict. The Installation, like true invasive species, is meant to be seductive, to lure people in with it’s beauty hiding it’s destructive nature. 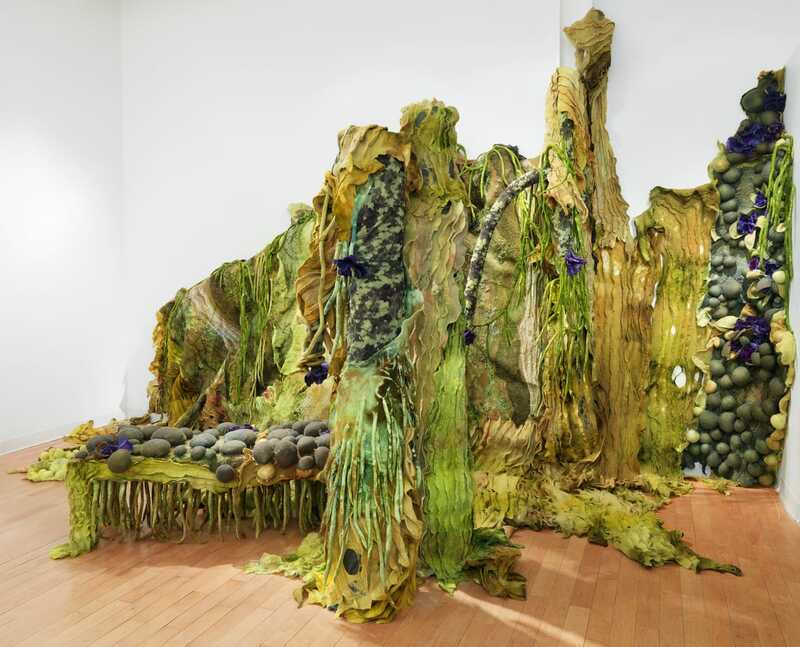 I have chosen felt to create the installation because of its malleability; felt can take any form, and these pieces showcase just a small part of the possible permutations one can create.